CURRENT VERSION: 1.2.0. NOW WITH 1.9.2.2 Security Patch Support !!! 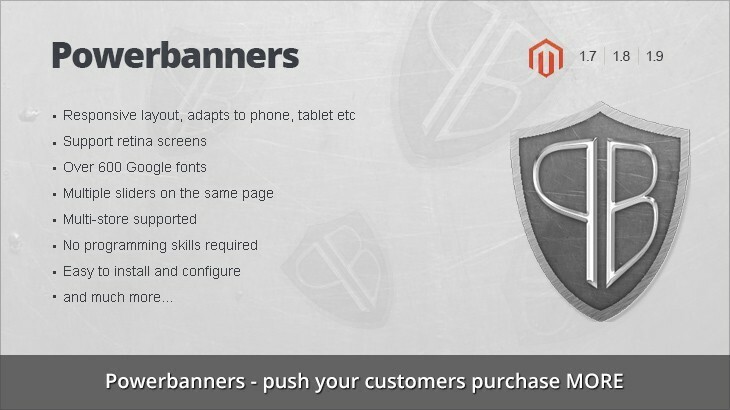 Powerbanners – push your customers purchase MORE. 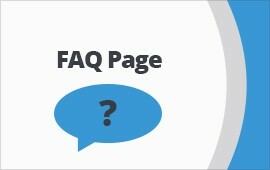 Creating and displaying banners with Powerbanners is easier than ever. This module allows you to create responsive banner slider to showcase your brands, products or seasonal offers in almost any place on site. Powerbanners is a perfect solution for those who want their visitors to be aware of all hot stuffs. It does support touch devices like iPhone and iPad, customer can swipe thru the banners. Support multiple screen resolutions and adapts accordinly. Support retina screens. Comes with slider widget. Select one of your banner sliders, adjust its settings like navigation or slide speed and insert shortcode in your cms page or block.